This natural leather dog harness is designed for K9, police, agitation, attack training and service work. 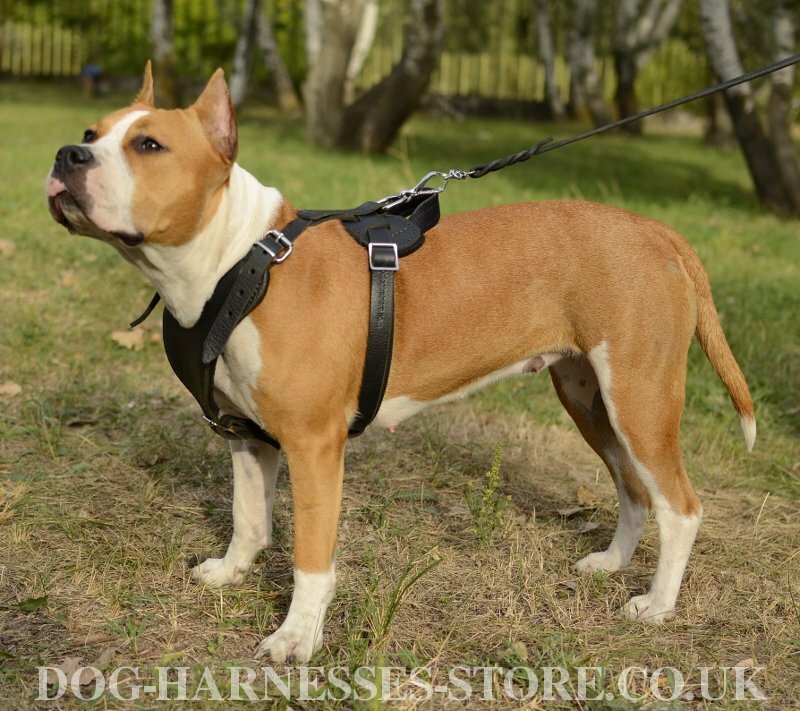 It's an excellent variant for hard loads as well as for usual daily walks. 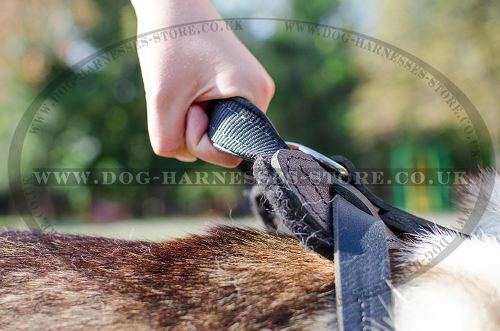 The harness is designed to be maximum safe and protective for the dog. That is why it's equipped with wide chest plate, which is soft padded for additional security. 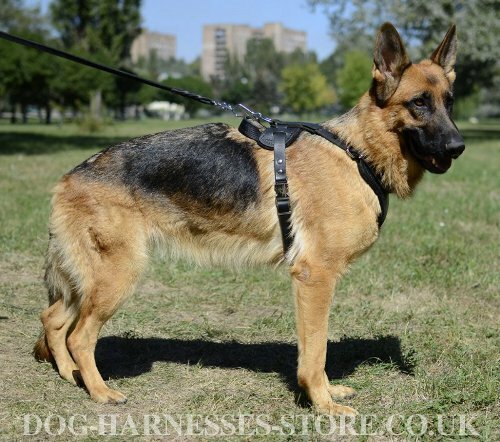 Our harness is widely used for working dogs that may be harnessed for a long time. 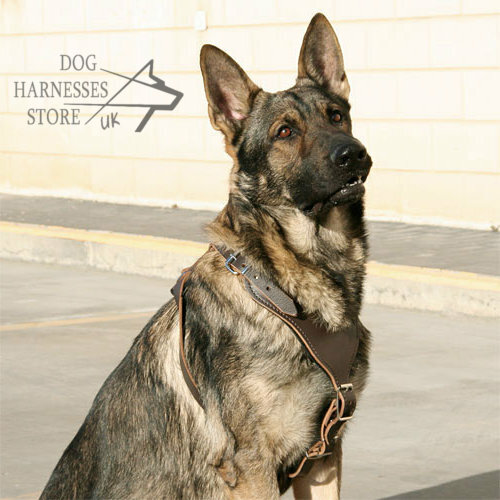 The harness is so popular among our customers because of its exceptional comfort, functionality and safety. 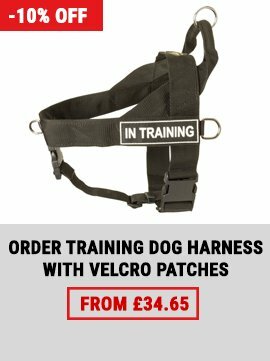 Be the one of those, who have no problems with dog walking and training, having this protection harness! The harness is safe for dog's health, skin and coat because it's made of natural leather. 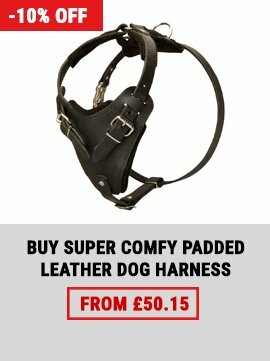 Well worked leather edges won't discomfort the dog. 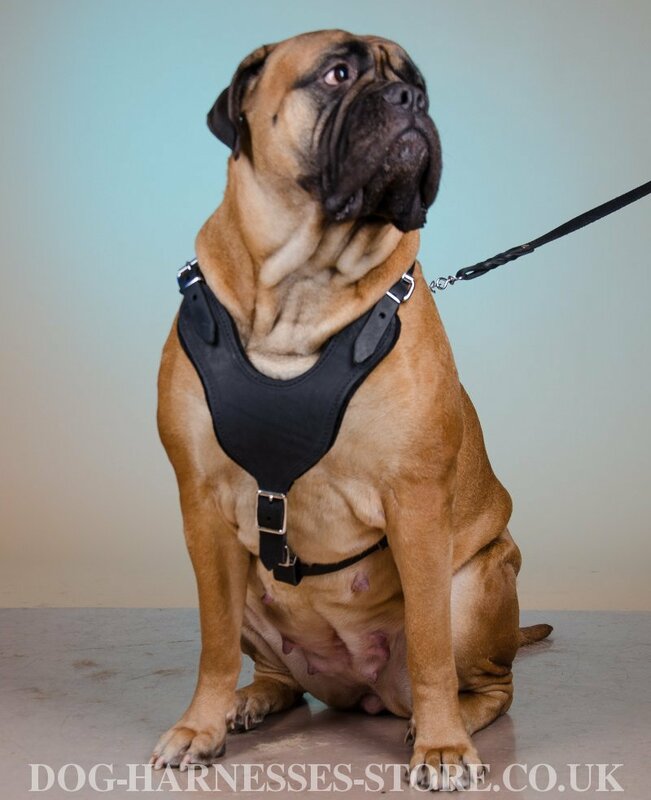 You can always fit this padded dog harness to the size of your canine using adjustable leather straps. Put on and take the harness off with the help of easy to release buckle. Every metal detail is welded and nickel-plated to avoid corrosion. 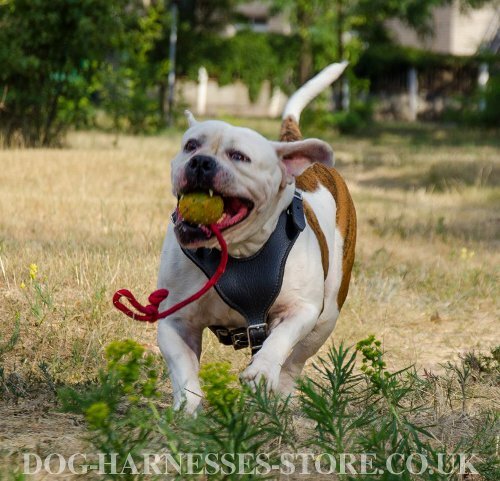 The harness is an ideal solution for daily use! 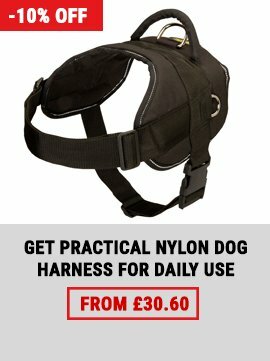 Note: the harness is produced without a handle. 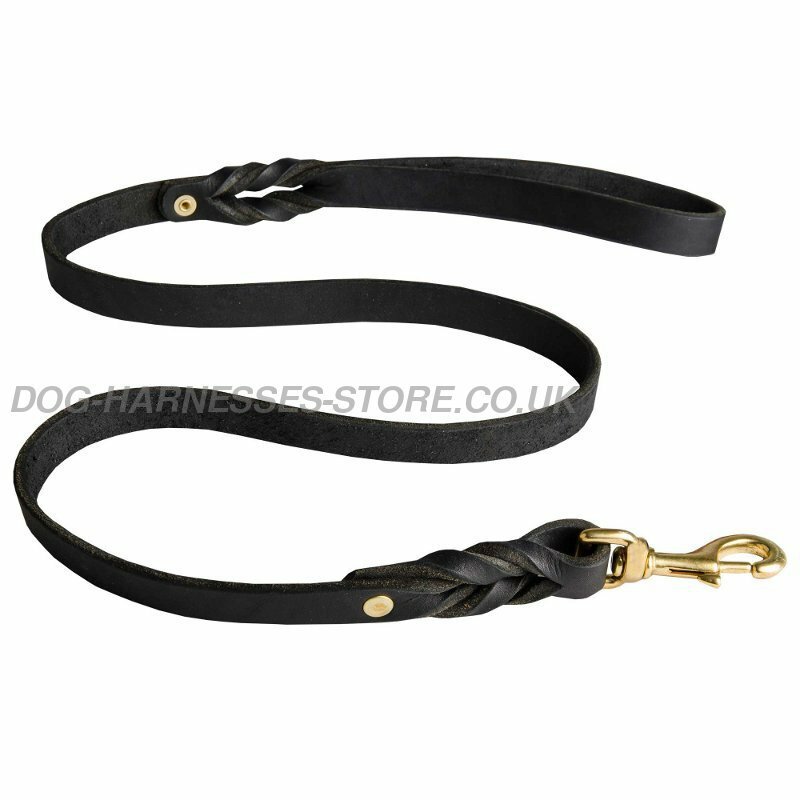 If you need this leather harness with handle, please, contact us. 1. Thank you, thank you so much, the harness is super! Look forward to buy from you again. Read also the article about the strengths of dog harness application.